[Stevens Strategy] (and prior to the formation of our firm, John Stevens as an independent consultant and senior member of another firm) led a wide variety of projects over an extended period of time at Berklee College of Music. It was my call early in the term of my presidency that brought John Stevens to Berklee College of Music for his first consulting assignment when he was an administrator at Boston University. I asked him to help us work through our first collective bargaining negotiations with our faculty and navigate our way through the implications of those negotiations on our governance system. Since then, he has done a large variety of projects for us including shepherding a new degree through the state degree granting process, conducting organizational evaluations and executive searches, and now, nearly 20 years later, at the end of my term as president, he and his colleague Brendan Leonard are helping us to prepare the campus for the transition to my successor. We are very pleased with his professionalism and the range of competencies he and his associates have provided to help us grow and succeed. 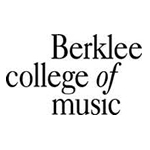 Stevens Strategy developed and delivered a management development program to prepare senior management for the transition to a new president at Berklee College of Music. In a subsequent engagement, we assisted the college to address governance in Academic Affairs. I thoroughly enjoyed the sessions and also found them to be helpful. You kept us on task, provided good resource materials and demonstrated competence in engaging us and providing meaningful experiences. Hope you come back again for a ‘level 2’… Very well done. Thank you for helping us move ahead with some important issues. I just wanted to let you know how pleased I was to work with Brendan on the governance issue last year. I thought he did an excellent job facilitating through some pretty murky waters. I really appreciated his open approach and his mature responses. You are lucky to have him. Over the course of a decade or so and prior to the formation of [Stevens Strategy], John Stevens, as a senior member of another firm, provided search consulting services to Berklee College of Music’s Financial Aid Office and provided advice on the structure and organization of that office. I have had the good fortune to engage John Stevens’ consulting expertise for two different projects. In 1990, John helped us restructure, organize, and staff our Financial Aid Office. The success of that result is evident in the fact that the new director and new staff remained virtually intact over the next 13 years. Once again, in 2002, John was instrumental in reviewing our position descriptions and aiding us in the search for a new director of financial aid. A year later I am convinced that with John’s guidance and assistance we identified a top-notch individual to lead Berklee’s new technologically advanced Financial Aid Office. I have nothing but the highest regard for John’s abilities and would not hesitate to call upon him for any institutional/organizational challenge with which I might require assistance. John Stevens did an excellent job of representing Berklee’s interests to me and in representing my interests to the school. Our interaction was friendly, helpful and professional. I think John did a great job when he matched my skills with Berklee’s needs.